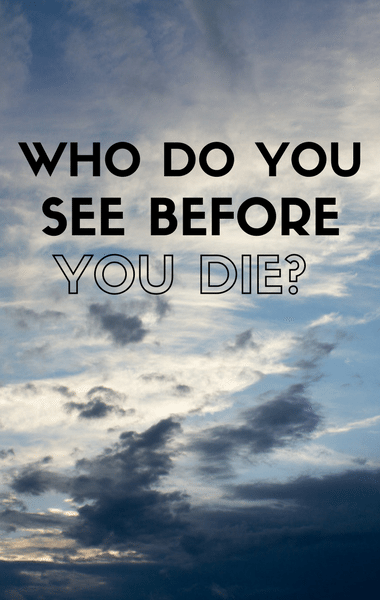 Dr Oz: Who & What Do You See When You Die? One of the most common questions about death is who do you see right before you die? Dr Oz and his team interviewed dozens of people in hopes of coming up with some sort of answer. What he learned will likely shock you and comfort you, while undoubtedly changing the way you think about and understand life and death. Not too surprisingly, as a surgeon, Dr Oz has heard quite a number of stories from patients who were close to death and then miraculously brought back to life. It’s those stories that inspired Dr Oz to launch an investigation into what and who people see before they die.